Oh little Miss Eliza Mae! I had the privilege of photographing her older brother as a newborn and I was so excited to hear that her momma was expecting again! 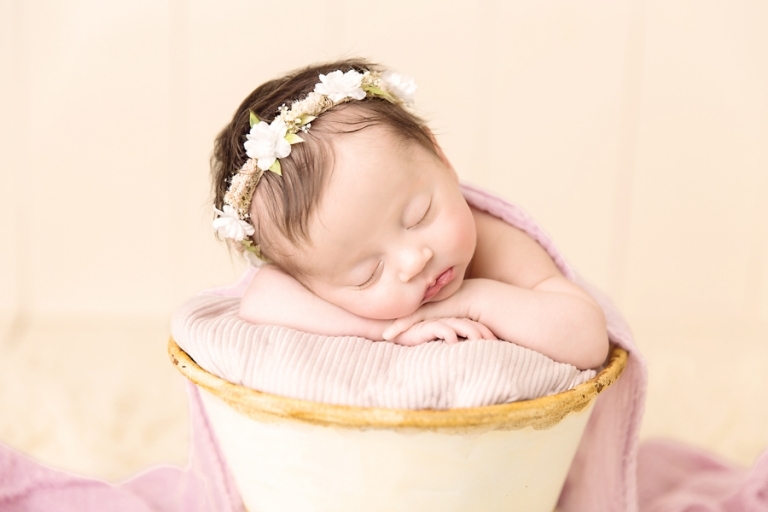 This little lady looks exactly as her brother did as a newborn- long dark hair and such a sweet little face! She was just as laid back as he was too! 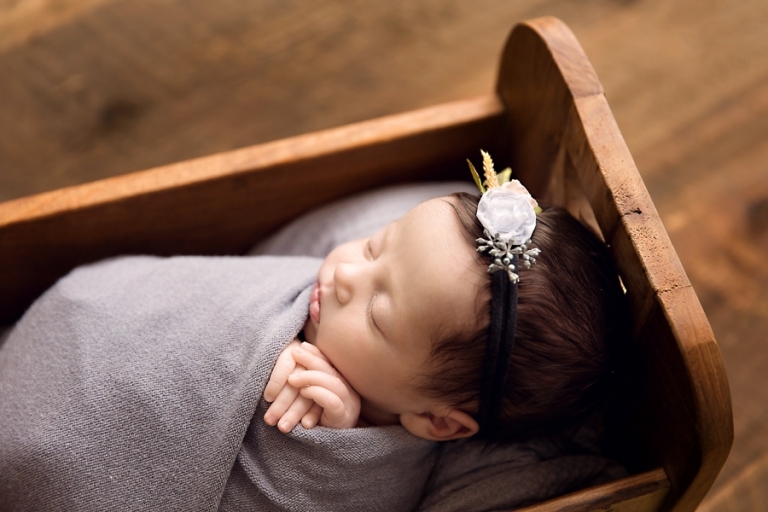 To see her brother’s newborn session, click here. Oh, how I love being a newborn photographer Akron! This little lady came in at 4 weeks new, which is outside the typical 6-14 day range that we aim for. I always tell moms that that is just a guideline, since it is usually easiest to capture sleepy baby photos and sometimes situations happen that force us to go beyond that. That’s okay when it happens! Eliza had some complications in her first few weeks and I was so glad when she was feeling better. 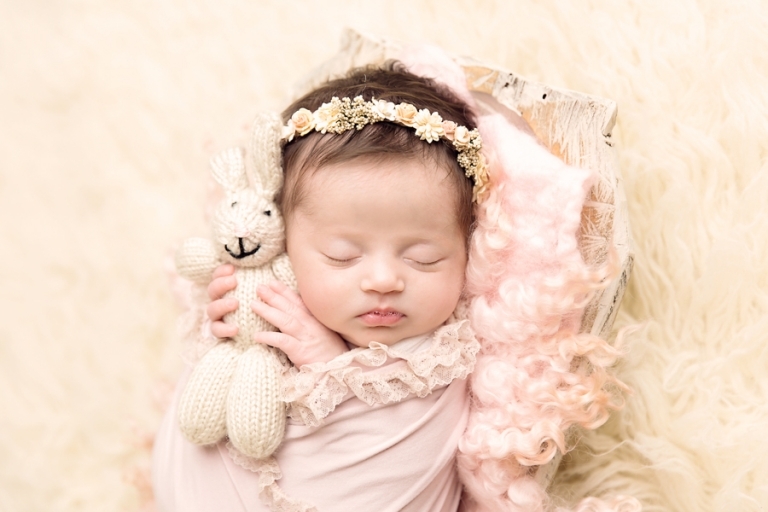 We still were able to do a beautiful newborn session for her with a great variety of images. The little ones health is always the most important priority! If you have read any of my previous blog posts, this little bunny from Mary’s Knitting probably looks familiar to you! I love this soft, sweet set up and this tie back by Created By Carli is the perfect finishing touch. Blue in my opinion is a totally undervalued color when it comes to little girls! Such a gorgeous set using this little bed by The Original Photoblock Props. Last but not least, how about those sweet little baby toes? Oh so tiny! Thank you for stopping by the blog! Shares are always appreciated!